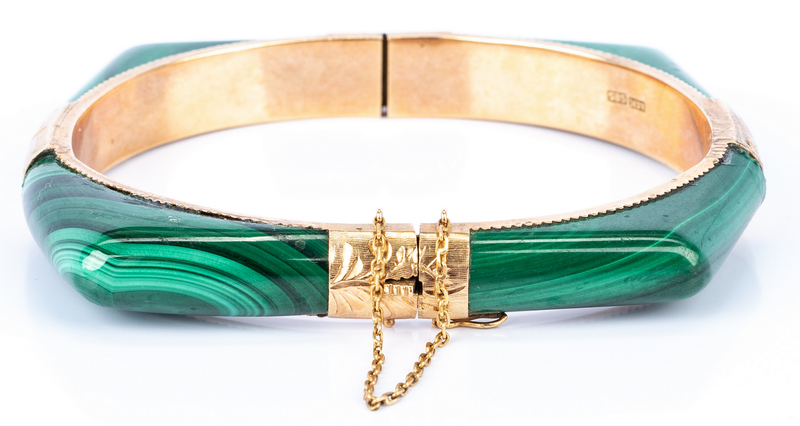 Group of six (6) 14K Bangles, including Malachite Bracelet. 1st item: Lady's hinged bangle bracelet with 14K yellow gold florentine spacers and inner frame. 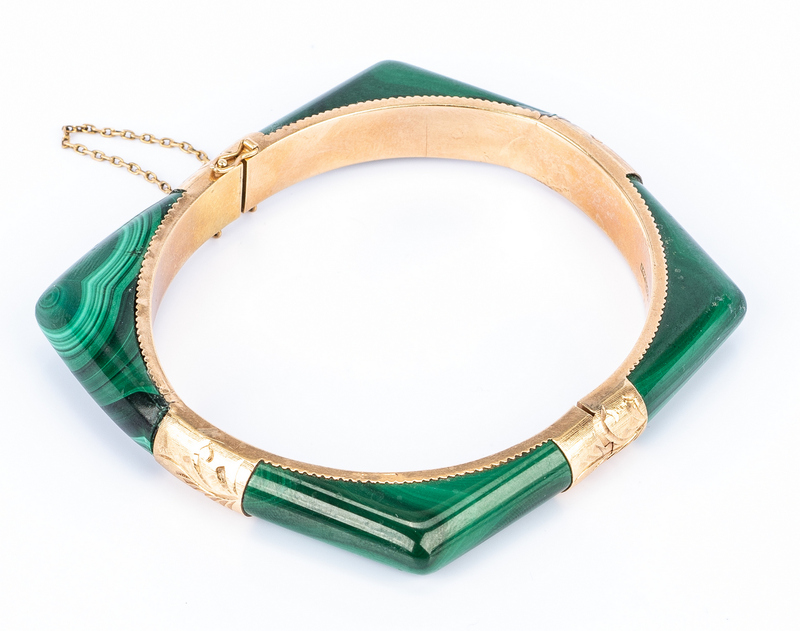 Frame holds four pieces of shaped green malachite. Marked 14K 585 on interior. 7" interior circumference, 42.7 grams total. 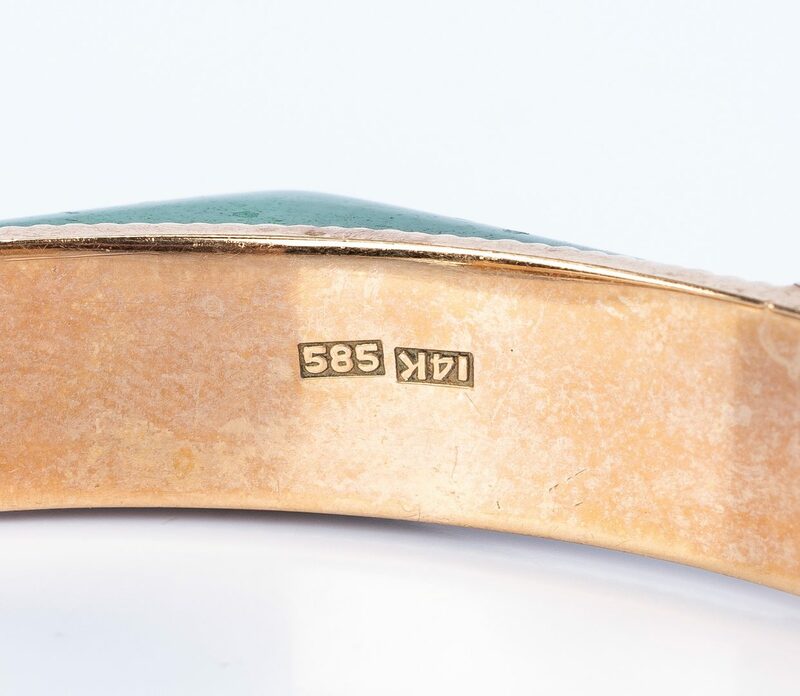 2nd-4th items: Set of three (3) 14K yellow gold 3.5 mm wide Etruscan design slip-on bangle bracelets, 7-3/4" interior circumference, marked 14K, 16.9 grams/3. 5th-6th items: Set of two (2) 14K yellow gold 2.5 mm wide carved floral design slip-on bangle bracelets, 7-3/4" interior circumference, 12.7 grams/pr. 29.6 grams/5 (all 14K) bangles. Provenance: Nashville, TN estate. CONDITION: All in very good condition. Minor surface wear to malachite and some surface grime.